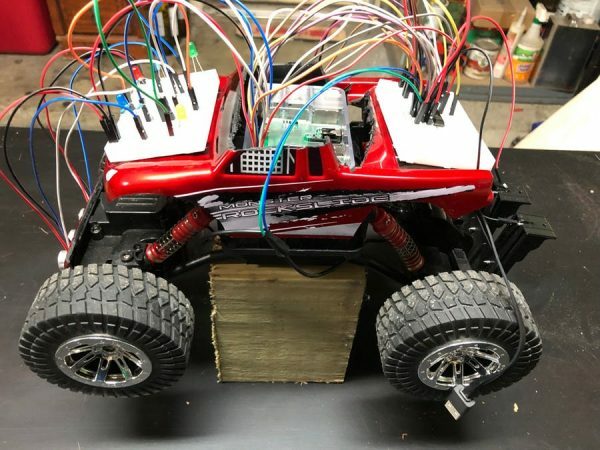 Raspberry Pi Autonomous RC Car #piday #raspberrypi @Raspberry_Pi « Adafruit Industries – Makers, hackers, artists, designers and engineers! My wife and I were shopping at our local Big Lots store right after Christmas when I came across some marked down RC cars. I have always wanted to try and build a Rasperry Pi “smart car”. I figured for the price, why not give it a shot. The worse I could do was lose the $20.00 for the car.